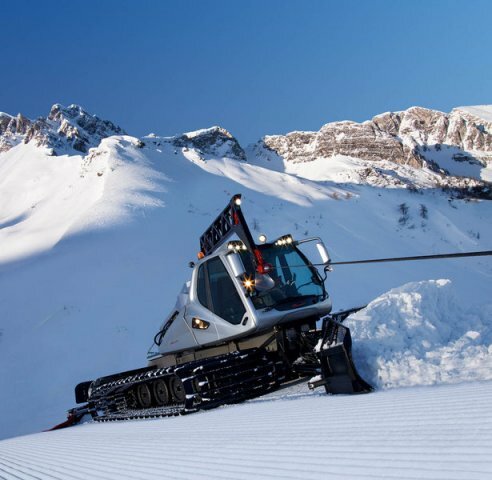 Thanks to a sensational operating width, the highest grooming speed, optimal power transfer, and the new PRINOTH Master Blade, the Beast allows you to achieve a 40% higher grooming performance and thrust. 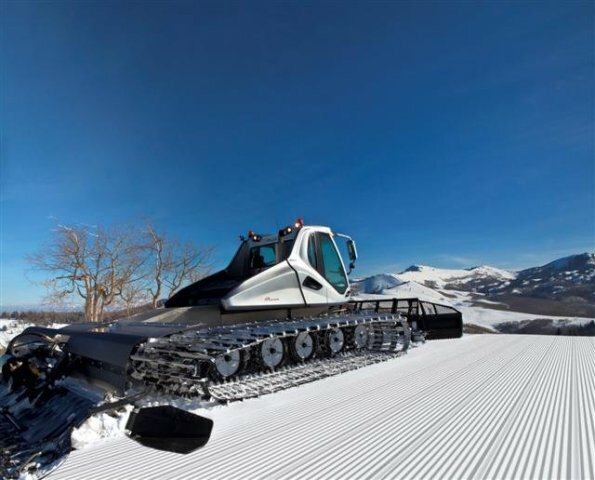 This innovative snow cat offers you the highest level in cab comfort and a multitude of settings that can be personalized. The Beast. 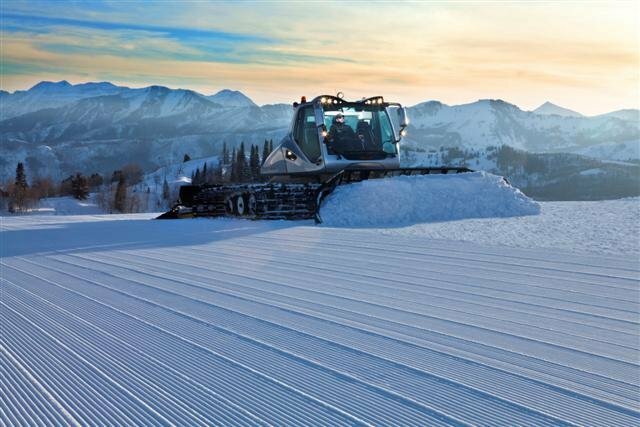 The new dimension in ski slope preparation. Unique grooming performance: Large operating width and high grooming speed. Like being on rails, even when it’s steep: Thanks to its unsurpassed track working surface of 17.5 sq. m. (188 sq. ft.) and its electronic vehicle control. Completely as you like it: Make your own decision about the configuration and technical equipment of your Beast snow groomer. Total control: Ergonomic driver’s cab, simple operation. Unique accessories: PRINOTH Power Tiller or Posiflex Tiller and PRINOTH Master Blade for perfect ski slope preparation. Unique grooming performance. The sensational operating width and the high grooming speed (with the 527 horsepower diesel engine) lead to immediate savings in time and costs. 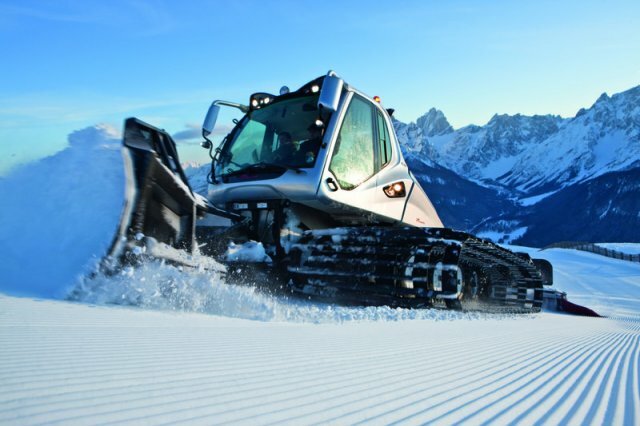 The large track working surface permits a better grip and efficient use of power in all snow conditions. Like being on rails, even when it’s steep. Superior climbing ability and thrust thanks to carefully designed geometry and a balanced weight distribution – with its unsurpassed track working surface of 17.5 sq. m. (188 sq. 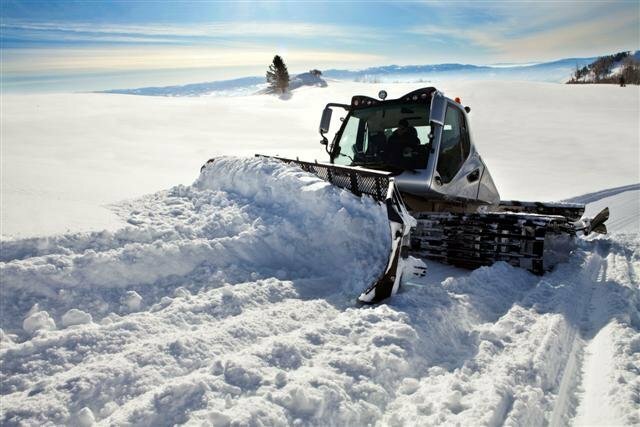 ft.), the Beast achieves one of the highest grooming performances of all snow cats, even on the most difficult terrain. Completely as you like it. Make your own decision about the configuration and equipment of your Beast snow groomer – for example, between a control lever or a steering wheel, or the position of your driver’s seat (left or center). The Beast can perfectly match your personal requirements. Total control. The cab combines design, ergonomics, and high tech into a comfortable, well-organized workspace. Most outstanding in this regard is the operator control concept designed by PRINOTH: with the right armrest serving as the control and information center, while the steering of the vehicle is carried out completely with the left hand. Unique accessories. The resized PRINOTH Power Tiller or Posiflex Tiller means perfectly groomed ski slopes, even at high grooming speeds. The innovative PRINOTH Master Blade (over six meters/nearly twenty feet wide!) was optimally coordinated with the Beast, guaranteeing a high degree of thrust with low power usage.